My apologies for the lag in posts. Elliot’s been scheduling me on station 1 a lot lately, and aside from little blips of interest in the day (not pic-worthy, however ;_;) the days have been fun and breezy and boring, blog-wise. That doesn’t mean I haven’t been capturing the little moments. Stay tuned for more Snap Blogs in the following week(s)! I opened today with Scottie. For those who don’t know him, he’s Mom’s (Koren’s) Friend, and also known by the line cooks as “Wildcard” for his sometimes well-meaning but random behavior. If you sometimes find the wrong station place (which rhymes with moss) in your drawer, you can thank Wildcard for that. More Wildcard behavior: when I arrived to open at 10am, apparently Scottie had been there since 6 AM. Uhh…. Whut? We killed it however, and finished at around 6pm. Sweet! NEW SHOES! 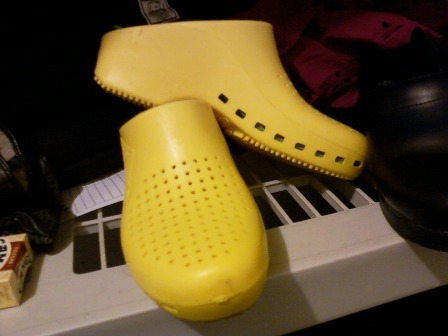 They were meant to be a birthday gift but apparently shipping took so long that they just arrived haha. Koren has a red pair just like these and I am so touched at her generosity and thoughtfulness. I just had to run up to the line and show them to my coworkers, and (of course) take a picture of them. They are super comfy. 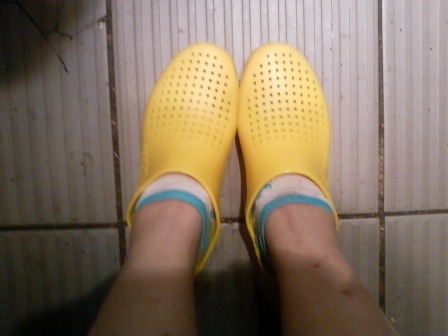 The shoes are from a company called Calzuro. They have ventilation holes at the top and in the sides so I can’t spill anything on my shoes or walk in puddles or the rain, but hey, they are so comfy it’s definitely a trade-off. 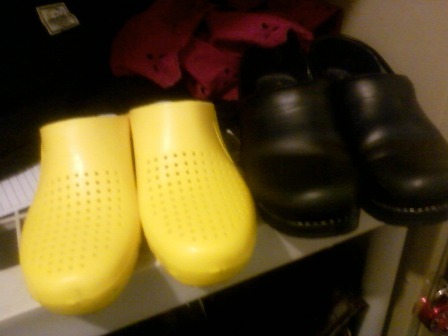 My new Calzuros next to my current Dansko clogs. There’s a bit of a height loss with the new ones, so I might have to stick to Danskos when I’m on Station 3 but we’ll see. Ahh, I can get over how unbelievably comfortable they are! Thank you so much, Koren! Love ya!